It’s “Game-Day”. Your athletes have been dieting intensely, periodizing their training for months, and it’s finally time for them to reap the rewards. Whether it’s bodybuilding or powerlifting, this day holds a lot of meaning and value for your athletes. 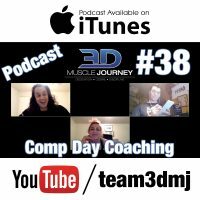 Andrea, Brad and Alberto join together to talk about this special day, and how you as a coach, can do the best job of making sure they are prepared for it. How can you tell whether someone is “flat” or “spilled”? What does it mean to go for what you want, versus what you have? How can you go about the attempt selection process before the meet, while also making “on-the-fly” adjustments when needed? What are some good, practical tips, for how to approach “Game-Day”? Along with these topics, the group also reminisce on some memorable experiences of the past: The day Eric won his pro-card, how Brad passed out on the platform after pulling a life-time PR, and the importance of knowing what your athlete’s true goals are on competition day. 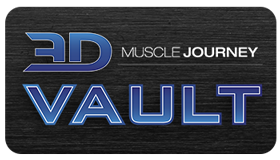 Sit back, relax, and join the coaches, for a fascinating conversation all about competition day coaching, for bodybuilders and powerlifters.